Every dentist and everyone at your ARCH Orthodontics offices in Greater Boston and Cape Cod will tell you that taking care of your gums is vital to making sure your teeth stay healthy too. But today, we’d like to talk about stories that have been in the news linking dementia to your periodontal health. It’s important for you to think about for your own personal health, and it’s definitely something to learn more about if you or someone close to cares for aging loved ones. A January article published in New Scientist suggests that Porphyromonas gingivalis a key bacteria that causes gum disease could also be the leading cause of Alzheimer’s disease. This could be because older patients, especially those with dementia symptoms, may not be as diligent about taking care of their teeth as they were in the past. This leaves them more susceptible to tooth decay and gum deterioration. 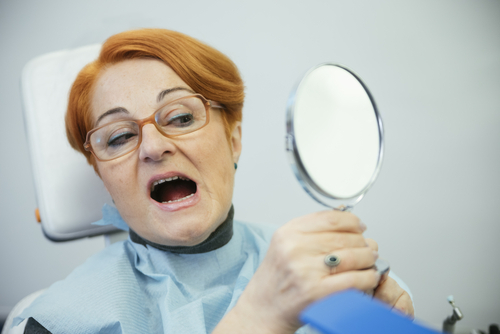 Certain prescription medications can also cause gums to breakdown. Researchers are trying to create a vaccine and an anti-toxin for P. gingivalis, but it will be years before it’s available for use. Your neighborhood ARCH Orthodontics office in Greater Boston and Cape Cod will be able to tell if you’re having issues with your gums, but it’s important to maintain regular visits with your dentist too so they can monitor your mouth for any changes. Bleeding gums, bad breath, and soreness are all signs you could have gum disease. What Can I Do to Protect My Gums and My Brain? Remember that brushing your teeth twice daily for two minutes and flossing once is the best way to keep your teeth and gums healthy. If you’re a smoker, you should try to quit as soon as you can to avoid worsening gum disease symptoms. It always helps to exercise regularly and eat healthy. This is going to help reduce inflammation in your and your mouth. It’s important to note that gum disease is extremely common, especially in patients over 40, and not all patients who are diagnosed with gum disease are going to be in danger of developing dementia or Alzheimer’s disease. There’s still more research that needs to be done to fully understand how gum disease can affect the brain. It’s important to always monitor what’s going on with your oral and overall health too. That’s why regular checkups to your doctor, dentist, and ARCH Orthodontics office in Greater Boston and Cape Cod, are essential to helping you and your family stay healthy. Sure, we want your smile to look great and to give your confidence a boost, but we will always go out of our way to help you stay in good health, beyond just straightening your smile. If you have any questions about gum disease or if there’s someone in your family who might need help, please don’t hesitate to call your neighborhood ARCH Orthodontics office. We’re conveniently located in Brockton, Bridgewater, Canton, Hyannis, Hyde Park, Orleans, Randolph, and Stoughton.